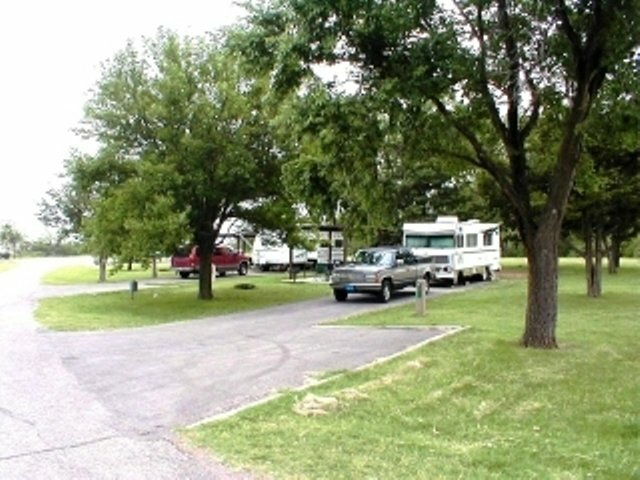 Supply Park Campground, operated by the U.S. Army Corps of Engineers, offers camping on the shores of Fort Supply Lake. This campground offers 96 campsites with either 30- or 50-amp hookups. The sites are either back-in or pull-through, and two of the sites are handicap-accessible. 16 non-electric sites are available, and pets are allowed throughout the campground. Drinking water, flush toilets, showers and a dump station are among the amenities you'll find at Supply Park Campground. A boat ramp, picnic shelters and a playground are also available. Open late Apr - late Nov.
From Woodward, Oklahoma, travel 9 miles northwest on Highway 3/270 to Fort Supply Lake sign. Turn west and follow for 3 miles, crossing Fort Supply Dam. Continue 3/4 mile to the four-way stop; turn left and follow access road into the campground.